Survival-Mastery.com claims that you can live up to two months without food. Even if that’s the case, heading into the wilderness without sustenance isn’t very enticing. If you’re a camper or a backpacker, you can satisfy your hunger and eat like a king if you pack the right items and know how to prepare them safely. Do You Need Supplements While Backpacking? 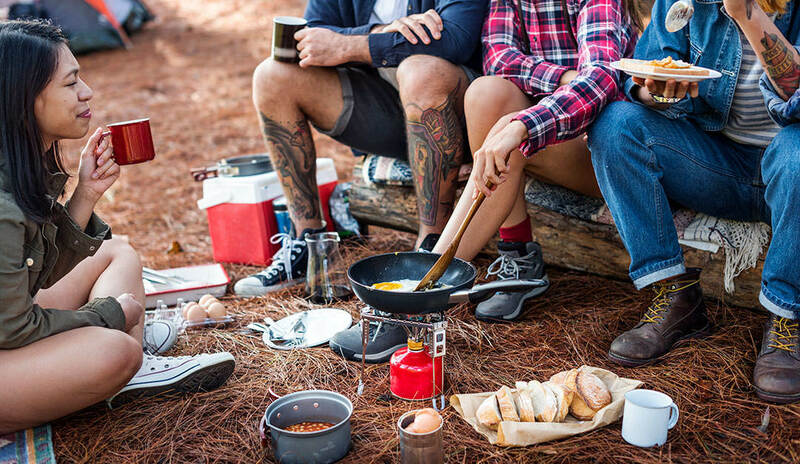 Unless you’re subsisting on cold snacks—in which case you can probably stop reading this article—you need some gear to prepare a proper meal at your campsite. When it comes to car camping meals, you’re not extremely limited by weight and space. Therefore, you can pack cooking utensils, pots and pans. You can even bring along a camping stove for the convenience of cooking the same foods that you enjoy at home. Camping stoves come in many shapes and sizes. A large, two-burner style might be great for car camping. You can even buy camping ovens and portable grills. If you’re backpacking, you’ll probably prefer a more compact stove. One with simmer control will help you cook delicious meals without burning them. A lightweight pot gives you something in which to cook. If you prefer to cook over a campfire, you might want to bring a grill grate on which to set your food. You can also pack plenty of aluminum foil to wrap around your food. Then, you can stick your meal right on the coals. 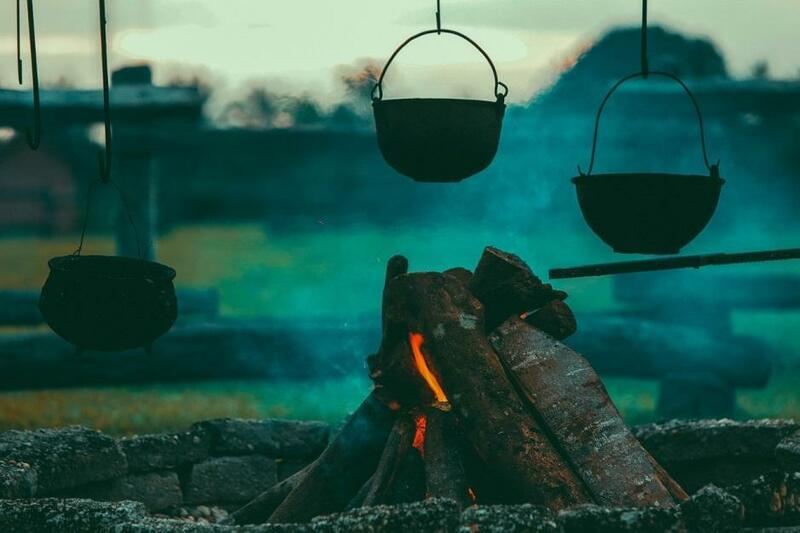 Just remember that the elements may not always be perfect for a fire, and it can be difficult to control the timing and temperature when preparing dinner over a flame. If you’re using pots or pans, consider using cast iron. The material won’t be damaged by the heat of a fire, and you can use it on a stove too. Don’t forget to bring utensils with you. If you’re backpacking and don’t plan on cooking over a fire, all you really need is a fork or a spork. Car campers might want a spatula, tongs and silverware. 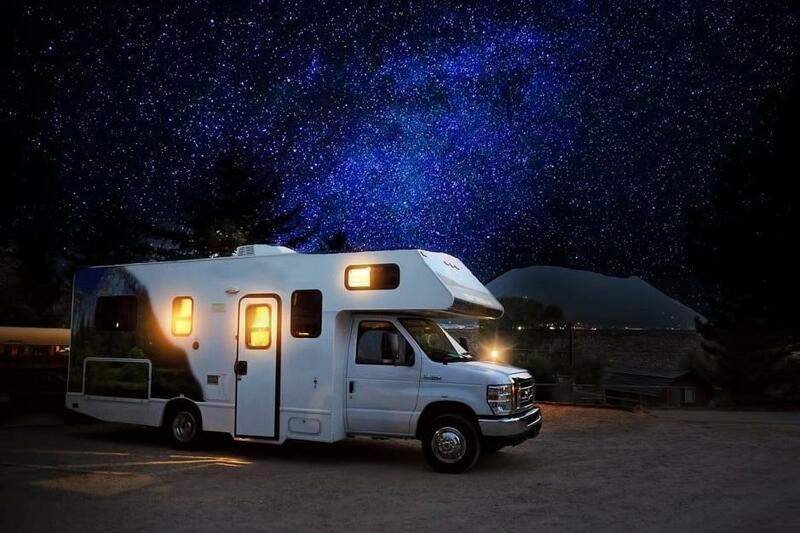 If you’re pulling a car up to your campsite, you can be more flexible than a backpacker. You can pack a cooler to preserve perishable items, which isn’t possible if you’re hiking long distances. According to Foodsafety.gov, it’s important to keep your foods at a temperature of 40 degrees Fahrenheit or lower. Between 40 and 140 degrees, bacteria can thrive. Using a thermometer can help you ensure that your cooler is keeping your food at the right temperature. You can take some measures to preserve the temperature in your cooler. Only open it when necessary. One option for multi-day trips is to pack two coolers. One will hold all of the food for the journey. Open it once a day and remove everything that you need for the day. Put that food in a separate cooler that may be opened more often. You can also freeze as much food as possible. Freezing meats, vegetables and even eggs keeps those foods cold and maintains the temperature of your cooler. Raw meat should be kept in watertight containers so that it doesn’t contaminate your other food. A fully packed cooler stays colder than one that has more air in it. As you remove items from a cooler, fill the space with ice. You should also keep your drink cooler, which will be opened more frequently, separate from your food cooler. Sausage and pepper sandwiches – Cut onions and peppers lengthwise and freeze them ahead of time. Freeze the sausage too. Cook in a pan or over a fire, then load into sub rolls or hot dog buns. Hamburgers and hot dogs – Easy to cook over a fire or in a pan. Foil packet meals – Prepare protein and veggies ahead of time, and wrap them in heavy-duty foil after coating it with cooking spray. Layer protein on the bottom because it takes longer to cook than the veggies. You can find recipes, tips and cooking times here. Burritos – Chopped vegetables and meat can be baked in a foil packet and then loaded into a tortilla and topped with cheese and salsa. Mason jar salads – You don’t have to forego vegetables just because you’re camping. Prep salads in mason jars. Add dressing at the bottom, and then put in chopped vegetables. Stuff the lettuce in last. To eat them, invert them over a bowl or a plate. One of the last things you want to endure when camping is illness. Follow the same food safety guidelines as you would at home. For example, wash your hands before handling food and after touching raw meat. Don’t use the same utensils for raw meat and vegetables. According to the Michigan State University Extension, you should keep hot foods hot and cold foods cold. If you’re storing leftovers, pack them in a 40-degree cooler within 2 hours of cooking. Don’t put them in while they’re hot, though, or they will heat up the inside of your cooler and spoil your other food. If you like to add milk to your coffee or oatmeal, consider bringing powdered milk. The full-fat type will provide healthy nutrients, and you won’t have to worry about it spoiling. If you think it would be too complicated to make decadent stews and other one-pot recipes while camping, think again. You can save space and weight in your backpack by eating dehydrated meals when you’re out in the wilderness. You can buy pre-made dehydrated food packets. However, many of them contain excess sodium and other unwanted ingredients. You’ll also save money when making dehydrated meals rather than buying them. The Food Safety Helpline says that dehydrating is the oldest form of food preservation. By removing the moisture from food, you reduce the likelihood of bacterial growth. You also lower the chances of mold growing on your food. Both mold and bacteria need water to survive. Dehydrating food preserves most of its nutrients. However, some vitamins and minerals are lost during the process, explains the University of Missouri Extension. Heat and air destroy vitamins A and C. Blanching foods before you dehydrate them can diminish the levels of water-soluble vitamins and minerals. Still, dehydrated meals are easy to transport and reconstitute. Plus, they’re tasty and give you nutrients from vegetables, which might otherwise be missing from your camping meals. The key to dehydrating foods is to heat them enough so that the water evaporates but not so much that they cook, according to Backpacker. Any moisture that’s left in the food can harbor bacteria and spoil your food and your hard work. A dehydrator with a fan might work best for this project. It allows air to circulate and heats the food at the proper temperature. Below are some tips and tricks for dehydrating different types of foods. Fruits and vegetables dry best between 120 and 140 degrees Fahrenheit. Veggies other than tomatoes, onions and mushrooms should be blanched or steamed until slightly tender to preserve their color and texture. These last about a year when stored properly. Meats dry best at a minimum of 145 degrees. Cook meats before drying them if you plan to reconstitute them in water. You can dehydrate raw meat to make jerky. Remove as much fat from the meat as possible by trimming it off or discarding the grease that is produced when you cook it. Jerky lasts about a month, while dehydrated cooked meat lasts about two weeks. Although rice and pasta are already dry, you can reduce the cooking time by pre-cooking and dehydrating them. This helps preserve vitamins. Also, you can cook whole grain pasta and brown rice, which have more nutrients than instant white rice. You can get extra fancy and cook up full recipes, like chicken stew or unstuffed peppers. You can even dehydrate sauces by spreading them thinly on a pan. To reconstitute your food, soak them in a water bottle from lunch to dinnertime. At dinner, you can simply simmer the meal in water for a tender, hearty meal. If you’re going away for a few days, you probably don’t need to replace lost nutrients. 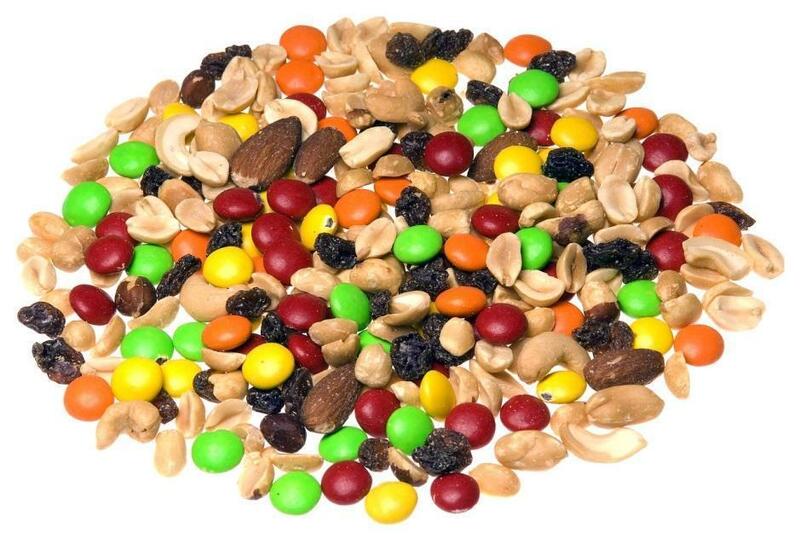 However, if you’re going on a longer trek, you need to fuel your body with the right vitamins and minerals. People who incorporate many different types of foods, like proteins, fruits and vegetables, into their diets might not need supplements. However, if you’re subsisting on tortillas and peanut butter, your body might be crying out for additional nutrition. Fish oil provides healthy fats, which can be hard to consume when you’re camping. Research shows that fish oil may even be as effective as ibuprofen for curbing joint pain. If you perform strenuous activities when you’re camping, taking fish oil could be a great way to round out your diet. Many long-distance backpackers survive on processed foods with lots of carbs. However, if you neglect the quality of food that you put into your body, your digestive system may respond with distress. A probiotic that doesn’t need refrigeration can help counter a less-than-perfect diet. Electrolytes are crucial for helping your system function optimally. If you’re exerting yourself and sweating while hiking, you could develop symptoms of hyponatremia, which indicate that your sodium levels are too diluted. These symptoms mimic those of dehydration, but you could make the problem worse by drinking more water without replenishing electrolytes. Many people don’t consume enough protein when they’re out in the wilderness. If you’re exercising intensely, you’ll need more than the modest .8 grams of protein per pound of body weight that is the recommended daily allowance for American adults. Aiming for 1.4 grams of protein per pound of body weight might be more reasonable if you’re engaged in extreme activities. Protein powder is light, doesn’t need refrigeration and can be mixed with water, which makes it an ideal camping food. Whether you’re camping from your car or trekking deep into the woods, you’ll need something to keep your energy up throughout the day. Snacks and light lunches are usually easier to consume if no cooking is required. You can combine many of these items to make quick lunches. Chopped apples taste surprisingly delicious when mixed with tuna and wrapped in a tortilla. You can add trail mix and dried fruit to cooked oatmeal. Peanut butter and chocolate is always a decadent treat whether you’re camping or sitting on your couch. Honey packets can be used to sweeten your coffee or oatmeal. They can be mixed with nut butter and spread on a tortilla. For a quick burst of energy, you can even eat straight honey. According to Medical News Today, honey contains more minerals than sugar and is lower on the glycemic index. That means that you won’t get the same crash as you do from refined sugar. 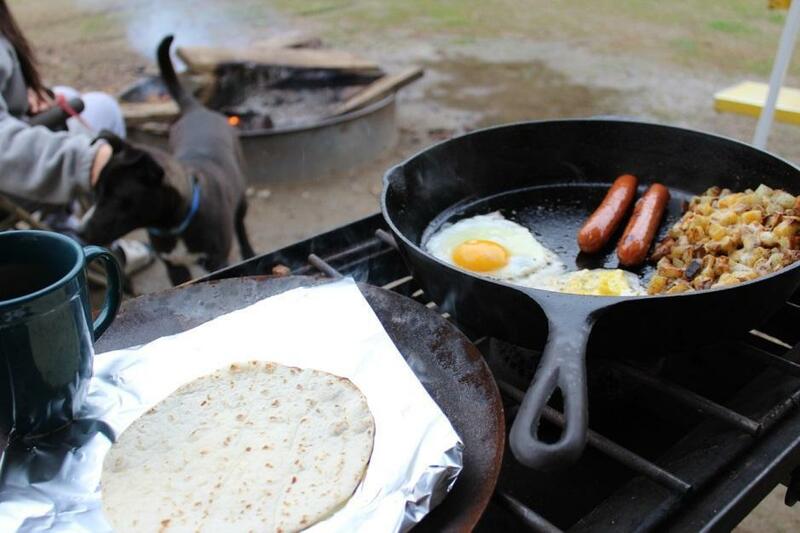 If you want to eat well while camping, think outside the typical camping box. Remember to eat your veggies; they provide nutrition and add flavor to your meals. Don’t forget about spices. Packing small bags with dried spices, salt and pepper can go a long way in making your food taste delicious in the middle of the forest. Think simple and nutritious when you’re planning camping meals. Eating well on the trail is always something that we struggle with when my family plans a weekend trip. Looking forward to using some of these tips to improve our trail cuisine. Thanks!